I can hardly believe how much my life has changed since I started writing this blog two years ago. Then, I was tentatively putting my toes in the psychic development water. Now, while not a master of any one gift, I have been making steady progress with mediumship and giving psychic messages using a variety of objects, from crystal balls to flowers, drawings to cards. But it is in the area of Shamanic journeying that I feel I made the biggest strides. After completing a workshop in June 2013 (The Way of the Shaman) I’ve been journeying on a regular basis. At first it was for myself, to get guidance from my spirit guides. Then I began to tentatively journey on behalf of others. This is where I get my most accurate and consistent results, closely followed by my dreams. I’m now being guided to numerology, a deeper understanding of which will enhance the quality of my messages. It’s the section of this blog that gets the most hits, especially at this time of year. I’ve been guided to what to write, when to write it, when to publish, the title of the books, and even what colours to put on the cover of Love is Not a Reward. I set the blog up to share my journey in trying to determine whether my psychic development would affect my writing. It clearly has. It is also impacting massively on my personal and professional development. 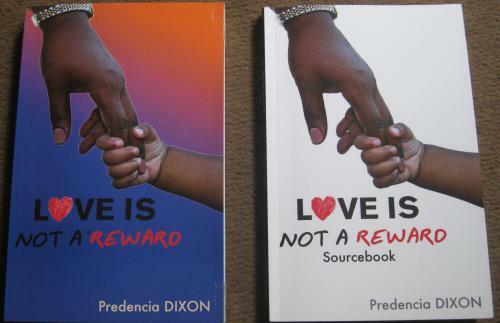 In the last two years I’ve written and published two books Love is Not a Reward and an accompanying Sourcebook. I’ve written many thousands of words in this and other blogs, and I’ve just completed a play based on my trip to Cameroon – a trip directed by spirit. I will be performing the play later this year. It’s called Madam Bonkiyung and I’m going to chart it’s progress in this blog under the separate heading Madam Bonkiyung. I hope you will continue to share the journey with me and to come and see me if you can when it is staged. I’m also going to be writing a biography for a musician as well as contributing to an exhibition of art and poetry. Going to be a busy year, but hopefully as exciting and productive as 2014. Categories: Development Events | Tags: love is not a reward, Madam Bonkiyung | Permalink. Hei Madam Bongkiyung, I really wish you full success of all your projections for 2015 and even beyond. Let many people know the meaning of Bongkiyung during the staging. Accept my fervent wishes for 1015. Thanks Fred. Already some people here are calling me Madam Bonkiyung! Please give my love to all at Self Reliance Promotors NGO. I came across your blog an knew it was to help me on my path. I have been a lifelong student of all things spiritual. I love meditation, reiki, yoga, automatic writing, tarot, astrology, numerology and took a psychic development course. I have felt an urgency to learn more and to share my knowledge with other people but I feel stuck and do not know where to begin. Did you feel like this at the beginning of your journey? I also feel compelled to write a book, even though I feel I have no expertise in one area and it is hard for me to just start. I am in a 7 year personal number, so I am thinking this is why I feel so strongly about doing this now. Any suggestions you may have on how you started would be wonderful. Thanks! Thanks for stopping by. Ah yes, Year 7. I always view this as my introspective year. Who am I? What am I? Where am I and where am I going? What should I be doing? I’ve learned over the years, and particularly since I discovered numerology, to not try too hard to find the answers, but instead to allow them to come to me through meditation and journalling. If you’re interested in writing but don’t know where to begin I would highly recommend The Artist Way by Julia Cameron. Its a 12 week course in a book and was the single most helful book to get me started on my creative writing. It helped me to get out of my own way and allow the words to come through. Since beginning writing fiction in 2010 I became aware that I was being guided spiritually as to what to write. It is still very much the same today. Trust that your higher self knows what you’re meant to be doing right now and look there for ultimate guidance. Good luck.